Experience, Exploration, Confidence, and Excitement. 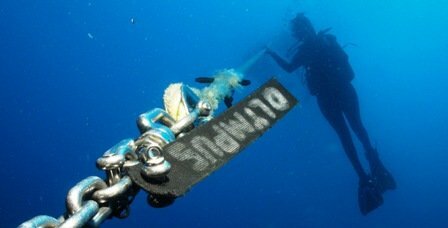 They’re what the PADI Advanced Open Water Diving courses are all about. And no, you don’t have to be “advanced” to take it – it’s designed so you can go straight into it after the PADI Open Water Diver course. The Dive Shop’s PADI Advanced Open Water Diver courses in Richmond, Virginia, help you increase your confidence and build your scuba skills so you can become more comfortable in the water. These sessions are a great way to get more dives under your belt while continuing to learn under the supervision of your PADI instructor. This course builds on what you’ve already learned and develops new capabilities by introducing you to new activities and new ways to have fun scuba diving. Dives for the Advanced Open Water Diving courses may be conducted at any Lake Phoenix dive weekend with The Dive Shop or on a dive trip with one of The Dive Shop’s instructors. Certain Adventure Dives are not available at Lake Phoenix and can only be conducted on a trip. The shop staff and your dive instructor will help you to choose which Adventure Dives best fit your individual Advanced Open Water course. *If you don't see a date that works, tell us! We'll Schedule one for you!